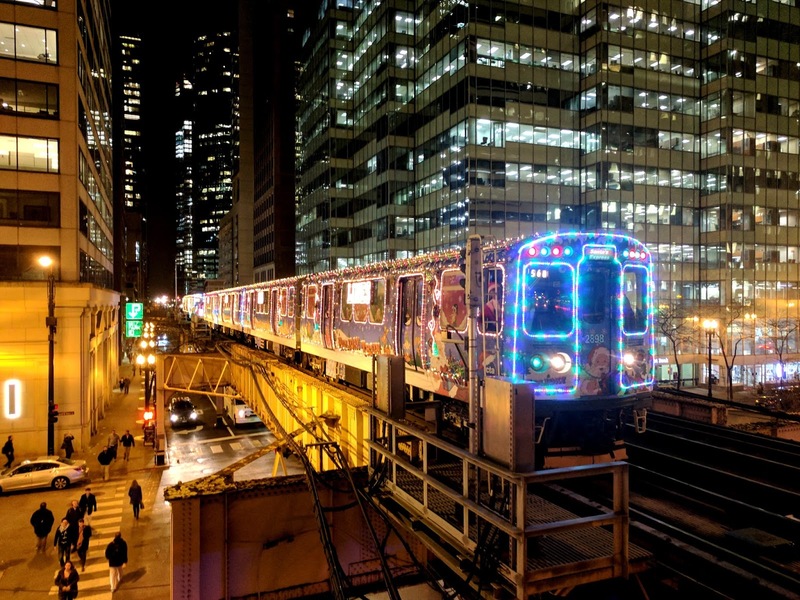 After Thanksgiving, there are two ways to get into a festive state of mind, courtesy of the CTA: The always-popular Holiday Train and Holiday Bus. The antlers, they sleigh us! 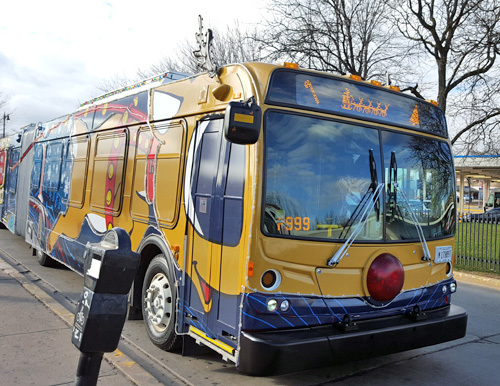 Ride with Santa in the Jewel-Osco Holiday Bus on various routes throughout the city. Exact times are not yet available, but we'll keep you informed. The bus's exterior has a red nose, antlers(!!! ), Christmas lights, and a "Ralphie The Reindeer" wrap. The interior leaves no space undecorated, with strings of lights, festive seats, candy-cane striping, and Santa and his elves holding court in the back. The entire Holiday Bus schedule is here. Double your fun! One bonus of having both Red and Purple Line both stopping at Wilson now is more chances to ride CTA's Holiday Train. It apparently was on the Red Line this past Saturday, although the schedule was not up on CTA's website then. If you saw it, mazel tov! Red Line & Purple Line — Saturday, December 16 (followed by the six-car Elves' Workshop Train). There will be photo availability. The entire schedule is here; exact times will be added closer to the dates. The CTA's website says, "The train generally operates from about 1pm to 8pm on weekends and 3pm to 7pm on select weekdays (schedules for each rail line will vary), and will make stops at all stations along the respective routes."